Will be based on the same rugged B0 platform as before. Will get more features including DRLs and Android Auto and Apple CarPlay. Will carry forward the same set of 1.5-litre petrol and diesel engines. Expect better fit and finish levels, especially on the inside, compared to the outgoing model. Prices range is expected be similar to the outgoing model, which retails for Rs 7.99 lakh - Rs 12.79 lakh (ex-showroom Delhi). Renault revealed the second-gen Duster in late 2017 and the new compact SUV has long been anticipated in India. The carmaker is now expected to launch the second-gen compact SUV around mid-2019 in the country. Here’s a complete lowdown on what all is expected from the new Duster that’s headed to our shores. 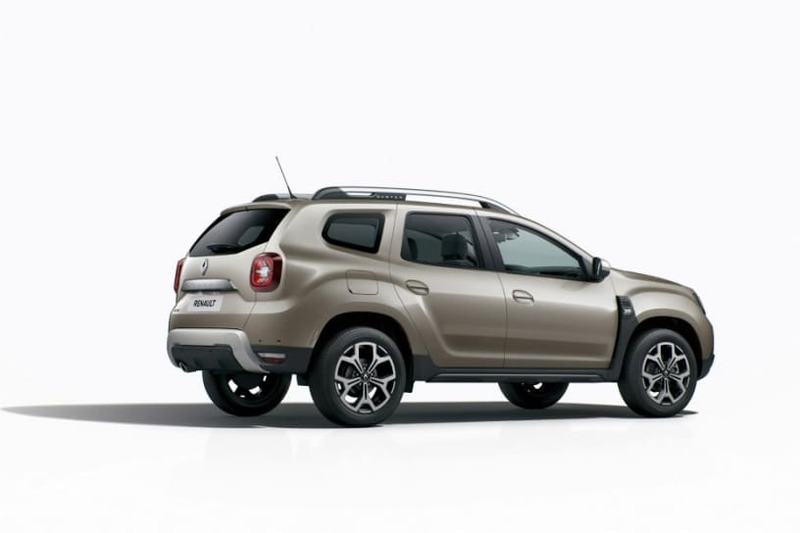 The second-gen Duster is underpinned by the same B0 platform as the first-gen model. It is also shared with SUVs like the Renault Captur and Nissan Kicks. The new model looks unmistakably Duster. Key design traits such as a broad and bold front fascia, voluminous haunches and a raised-up stance, which made the first-gen model an instant hit globally, have been retained. While the essence of the previous model is hard to miss, look closely and subtle yet noticeable differences come to the fore. The headlights have now been pushed towards the ends and have a sleeker layout. Daytime running LEDs have been integrated into the main lamps. The bonnet is now more sculpted and is also recessed at the centre. The Duster now rides on 17-inch wheels compared to 16-inchers offered before. Renault said that it has pushed the windscreen further by as much as 100mm compared to the previous model. This has resulted in a steeper A-pillar which should make the cabin feel relatively spacious and airy. The front fender cladding, which has the ‘4WD’ label, is an attention magnet. The most significant change at the rear is the new Jeep Renegade-inspired square LED tail lamps, which certainly look better than the ones before. Besides this, the windscreen is now slimmer and wider in profile. The license plate area and applique have also been widened. 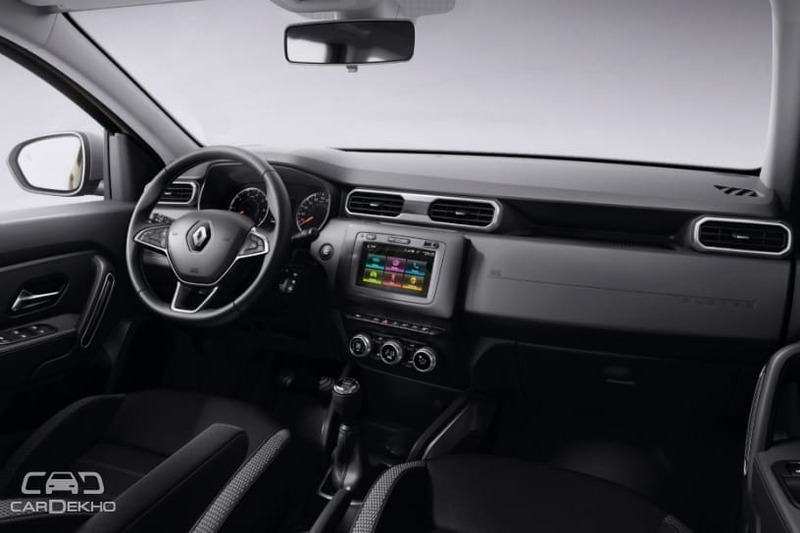 The Duster will come with the new MediaNav 4 7-inch infotainment system, which supports the much-needed Android Auto and Apple CarPlay connectivity. The new system looks similar to the existing unit, but features a smartphone-like capacitive touchscreen as well as a faster processor. 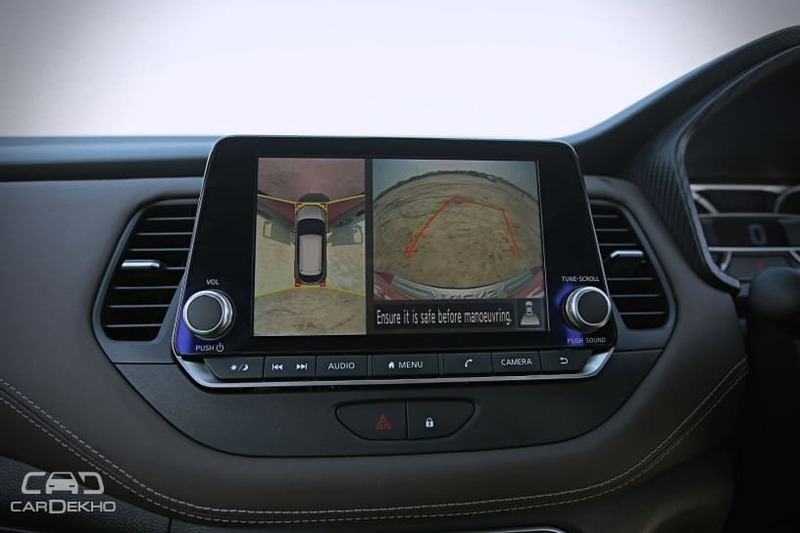 There’s a 360-degree camera support with the help of four cameras (front, rear and sides), like on the new Nissan Kicks (pictured below). The steering wheel is brand new and looks comparatively premium, but isn’t as chunky as the previous model. The instrument cluster is new as well, but is simple and features a clean layout as before. The seats are completely redesigned, as per the carmaker. 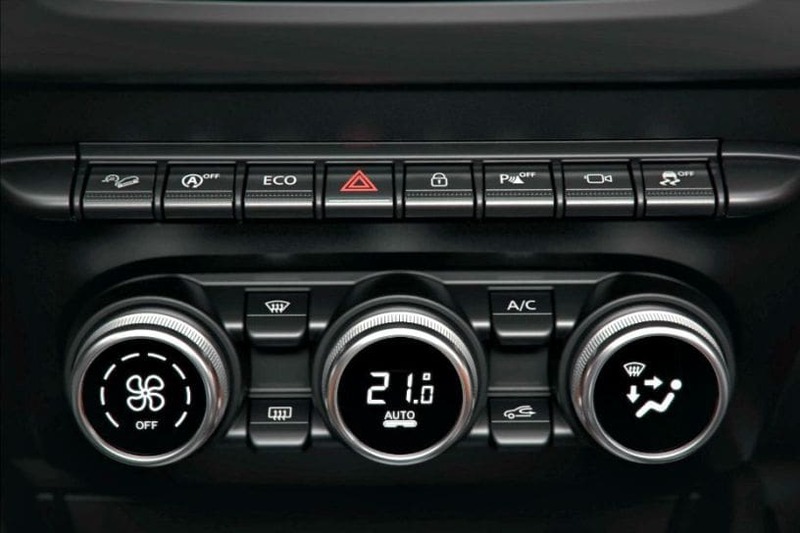 The climate control unit is digital and features an embedded display in the rotary dials like the new Maruti Suzuki Swift. There are large octagonal AC vents and the India-spec SUV should feature rear AC vents too. There are also aircraft-inspired buttons right above the climate control unit. The engine start/stop button is placed beside the steering wheel. 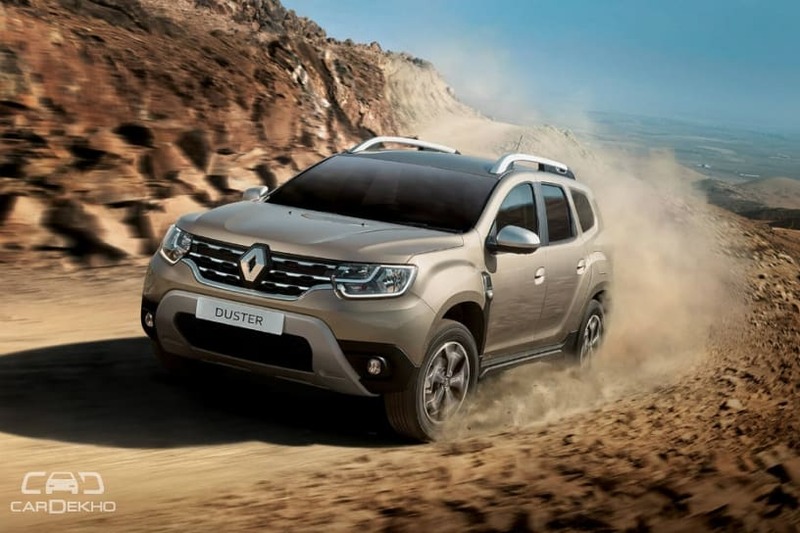 The Duster should carry forward the same set of 1.5-litre petrol and diesel engines. The petrol motor is expected to be offered with the CVT as before, while the diesel is likely to continue with the AMT. It is unlikely to feature an AWD system this time around due to the minuscule demand. With the first-gen model, Renault was exporting the Duster to Europe so the production of the AWD model was justified due to economies of scale. But now, the production of the Euro-spec model has been shifted to Romania. Come 2020, Renault is expected to introduce the updated 1.5-litre diesel, the Blue dCi. It is not only more powerful, but cleaner as well and will conform to the BSVI emission norms which will be implemented from April 2020. As far as the petrol option is concerned, there’s no clarity about the introduction of the new 1.3-litre turbocharged engine, which has been co-developed with Daimler. 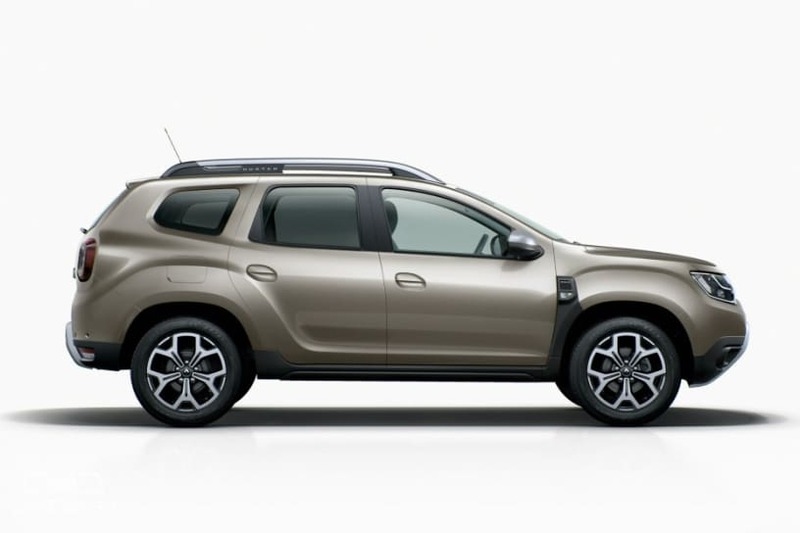 Renault had reduced the prices of the Duster earlier this year to make room for the relatively premium Captur. 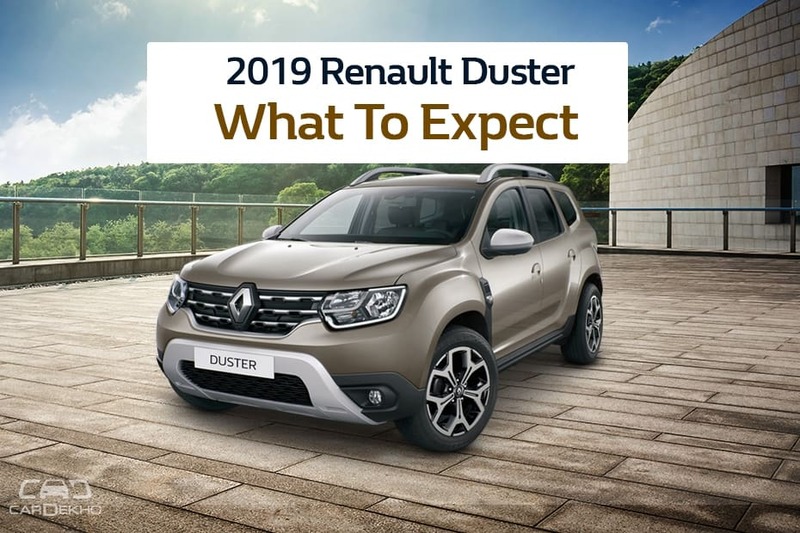 The Duster is currently priced from Rs 7.99 lakh to Rs 12.79 lakh (ex-showroom Delhi) and the second-gen SUV is expected to be priced in the same vicinity. With this pricing, the new Duster would go up against the Maruti Suzuki S-Cross along with other sub-4m SUVs like the EcoSport, and lower variants of the Hyundai Creta.